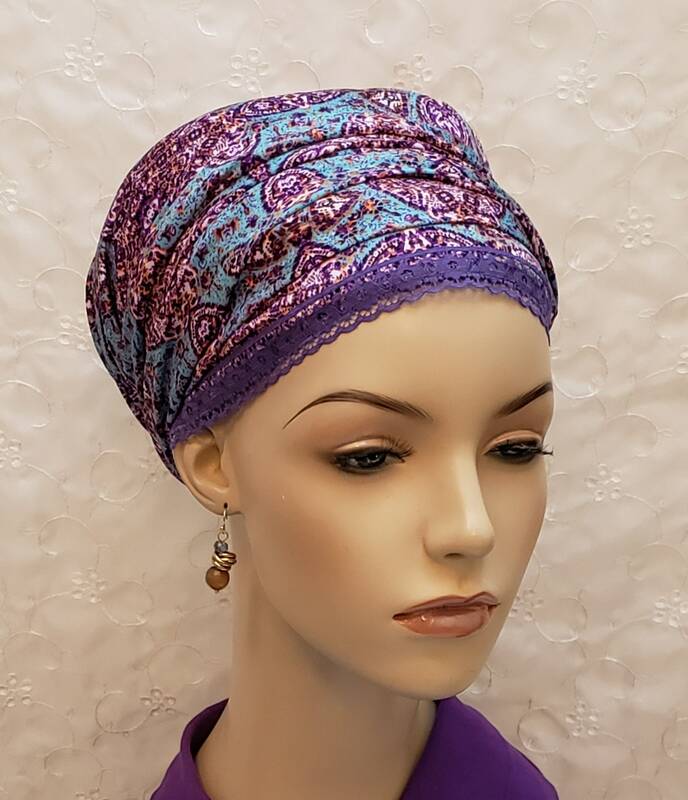 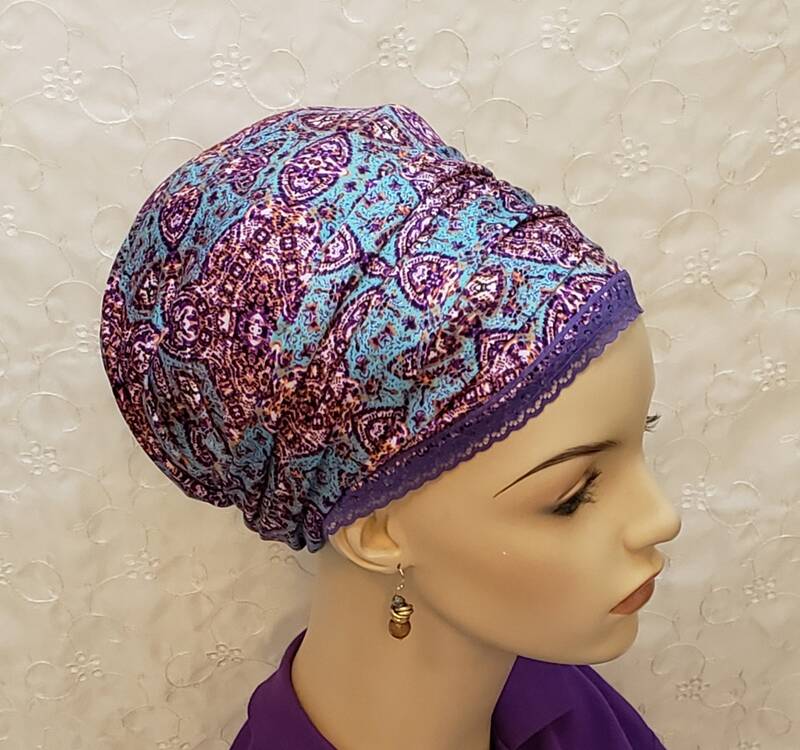 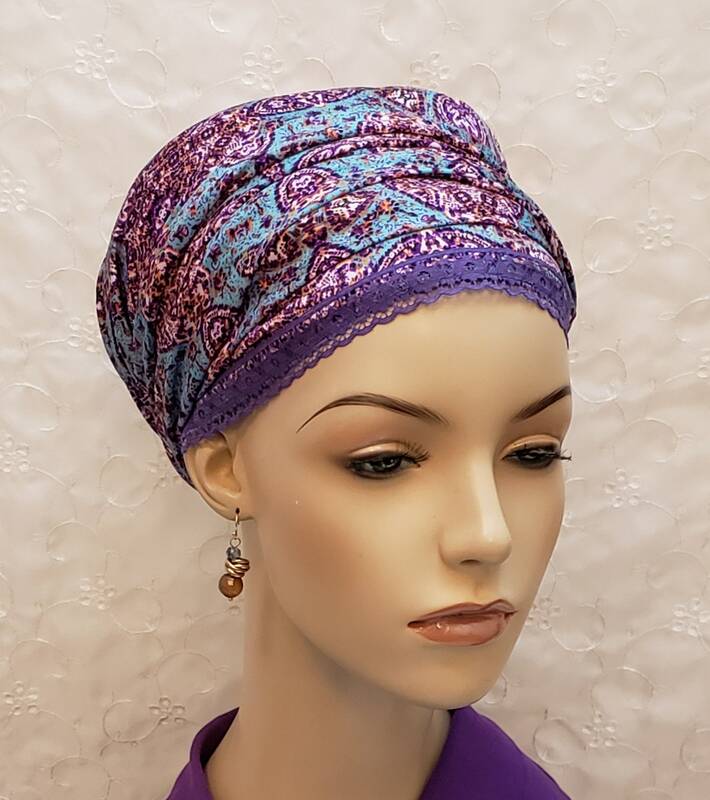 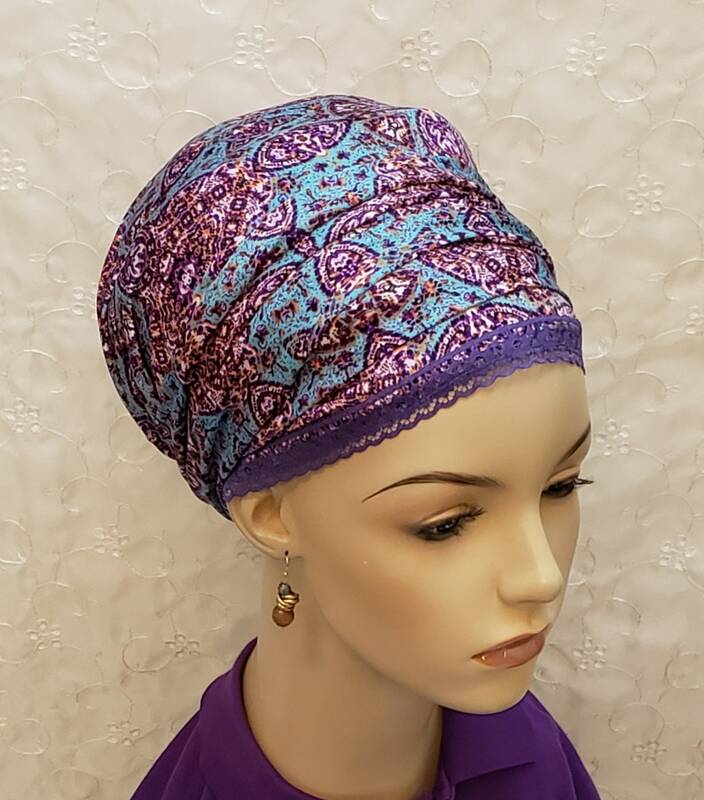 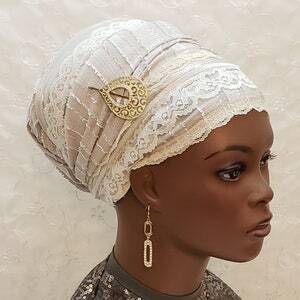 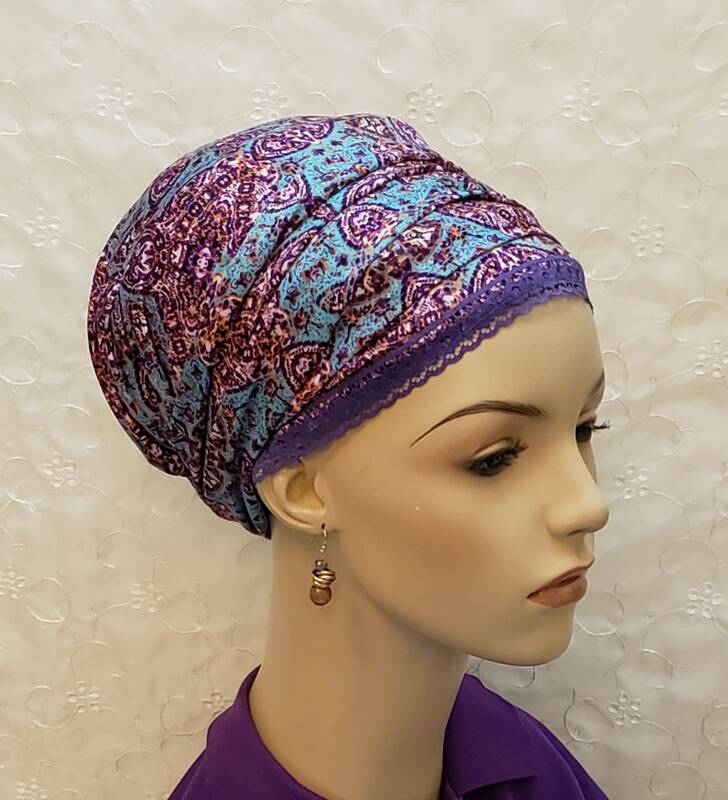 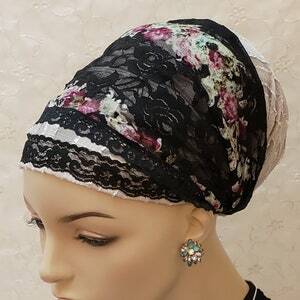 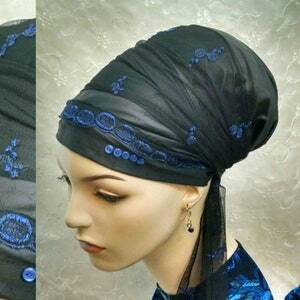 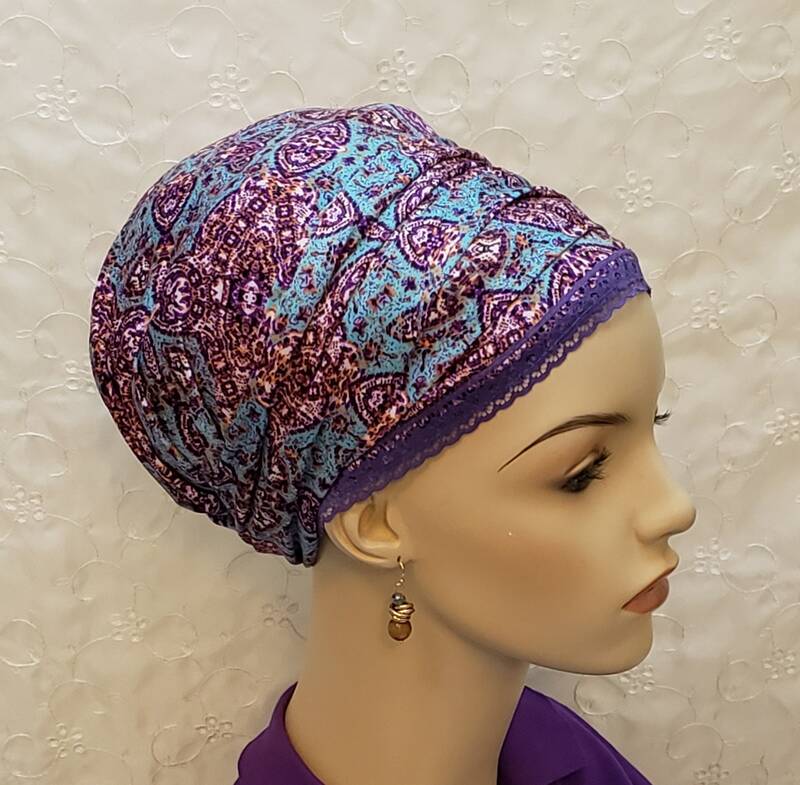 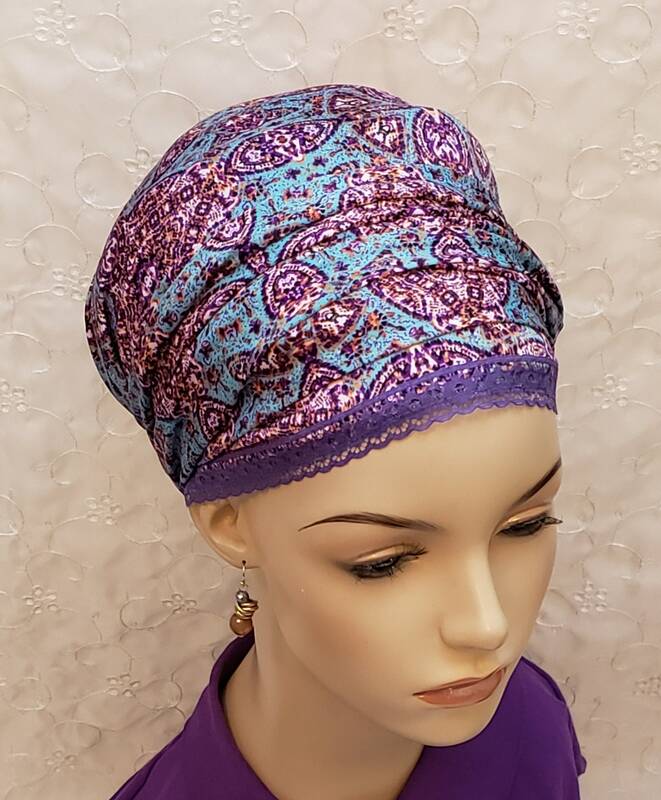 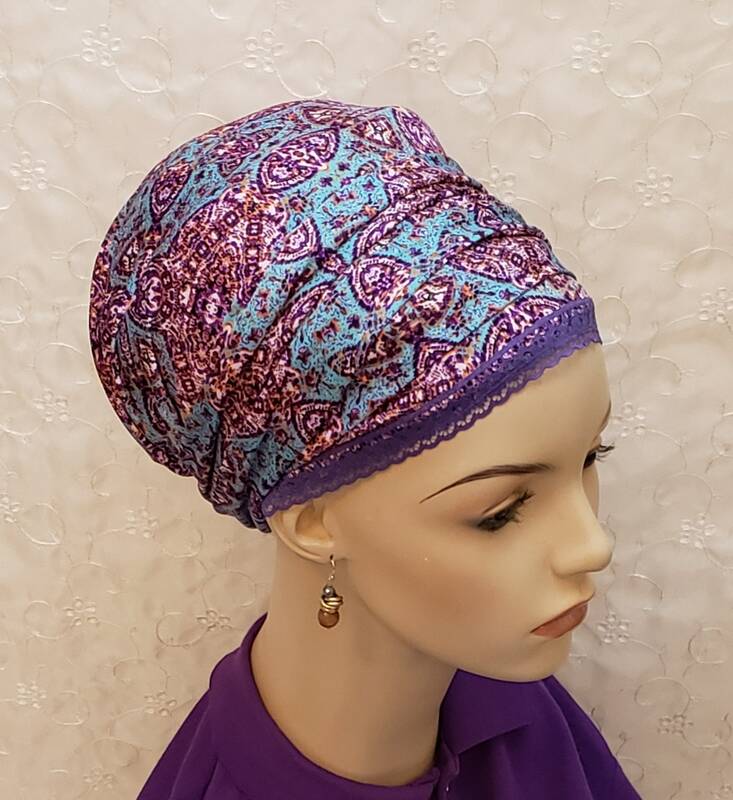 Colorful and stylish stretch lycra sinar tichel with lace accent! 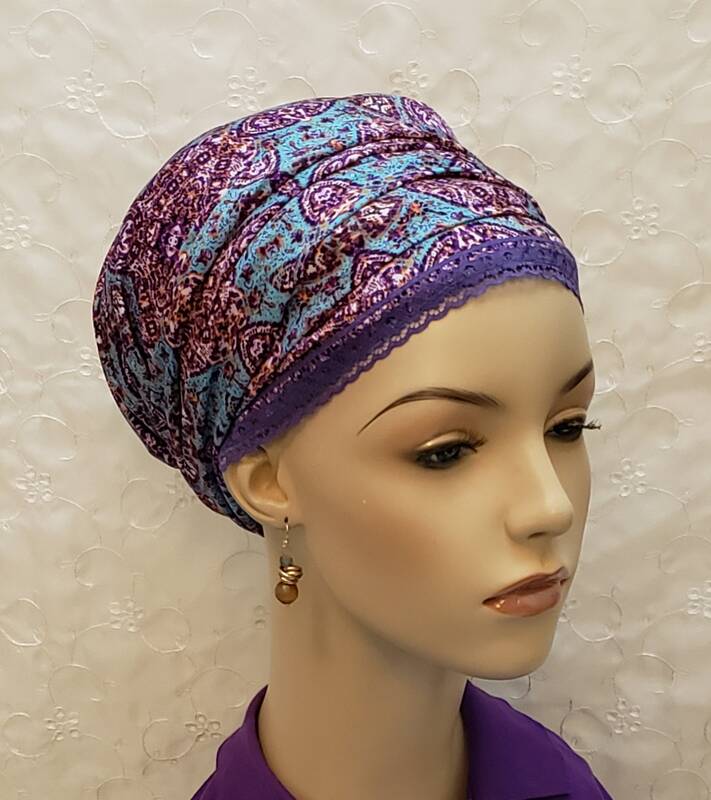 Striking shades of purples and blues. 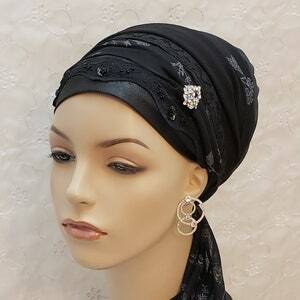 Perfect for everyday, work and going out!